At Up And Social, we’re experts on website design. We work together with our clients to ensure a website that they can be proud to call their own. 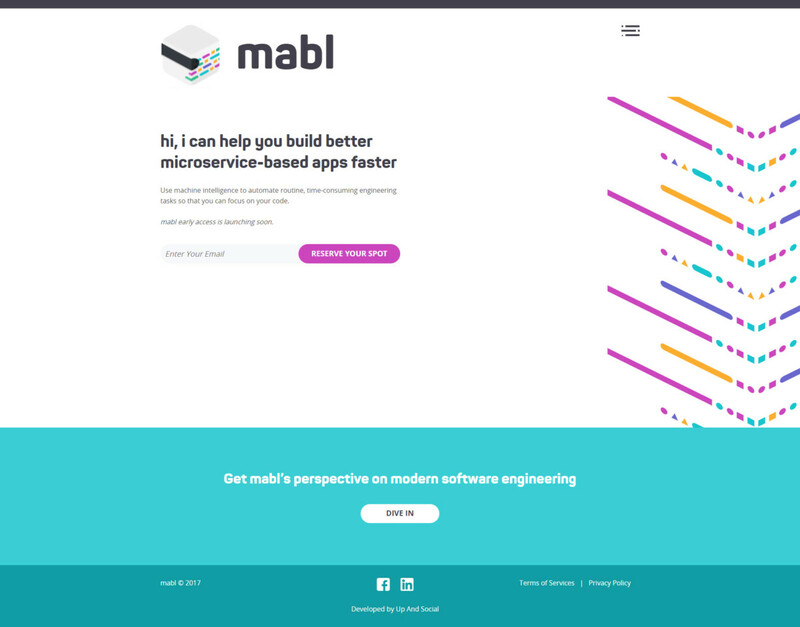 Our latest web design for startup company mabl was developing a mobile-friendly website. This was a complete collaboration with the client as they came to us with the design and we incorporated them into the responsive, mobile-friendly website they are using now. This website features a responsive homepage, blog, and team section. This allows the viewer to easily navigate around the website and efficiently find what they are looking for. The organization allows for extreme ease of use. We take this into consideration because a website that is user-friendly is more likely to gain more traction online. Each of the pages on the website serves their own purpose. 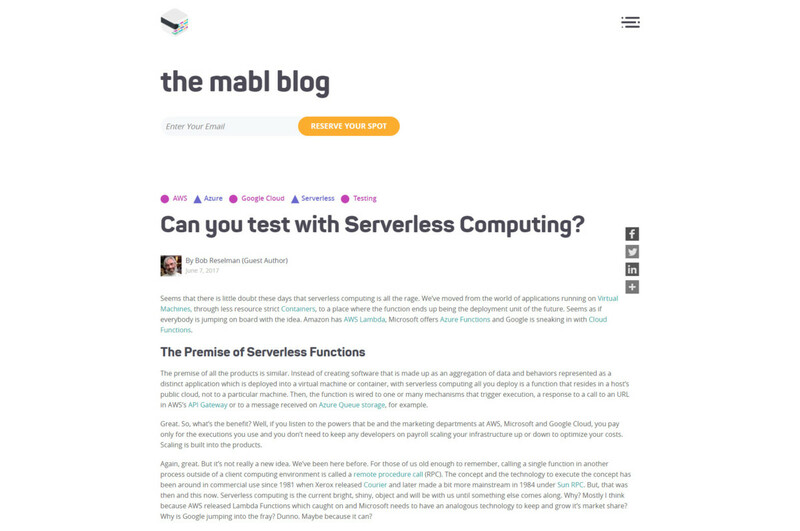 The home page welcomes the viewer to the website and sets the tone for mabl. The blog generates search engine optimization success and shares relevant, useful content with the viewers. 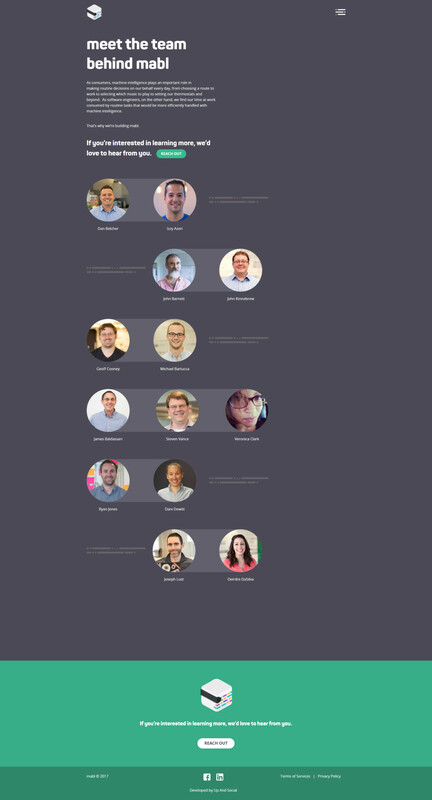 The team page allows the viewer to feel comfortable and put a face to the website. This is important in building trust in this context. Each of the pages works together to create the final product. We used WordPress to create the responsive, mobile-friendly design. This helped us create clean pages and allowed us to use our client’s designs in an aesthetically pleasing way. Collaborating with our client by using their design combined with our know-how created a wonderful website. If you would like Up And Social to design (or redesign!) your website, contact us today!